Welcome to Ba’bursi, an authentic Indian restaurant offering a selective menu using only fresh & finest of ingredients to prepare all of our dishes. Our focus is on quality and aim to build ‘your’ favourite Indian based on your feedback. at the heart of everything we do and enhance your dining experience. Why Ba’bursi? Pronounced ‘Ba-Bur-see’ in the Bengal dialect means ‘Chef for the occasion’. One who is renowned for his cooking. Our simple menu is designed to give you the best of what we have to offer, however if there is something you fancy and it doesn’t appear, please ask us and we will endeavour to tailor to your needs. We hope you enjoy the Ba’bursi experience and tell your friends, family & colleagues. You can also ‘like’ us on Facebook & Instagram. 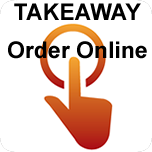 Online ordering your takeaway is easy with us. Thank you from the team & see you again soon. As we are restaurant we DON’T deliver. But it is only 30 minutes from order to Collection!